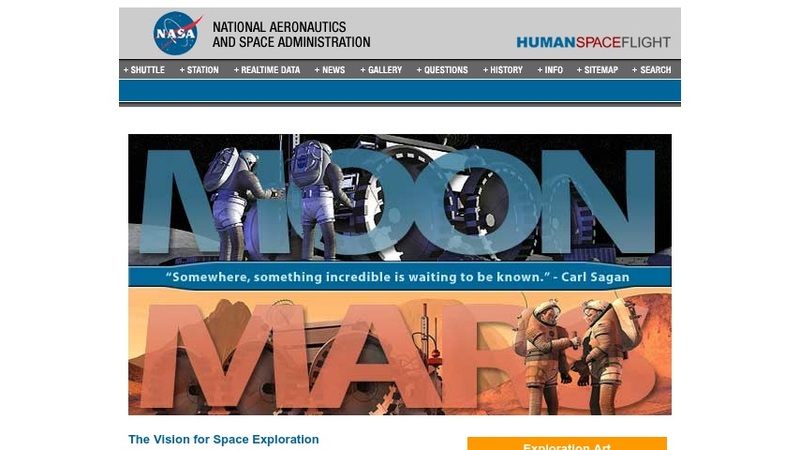 Visitors to this site will learn about NASA's manned and unmanned explorations of the Moon and Mars. Topics include the history of the Apollo program, robotic missions to Mars, and future visions for space exploration. The document "Vision for Space Eploration," which describes a timeline and major realignment of NASA's resources and efforts for manned and unmanned missions to the Moon and elsewhere, is available at this site.